This stunning little 3x3 notecard was one of the make-n-takes from Friday's SU Regional event. I would love to post some projects that I've made recently, however, I've been feeling a little under the weather for the past couple of days so I'll have to share the items that already made it on my computer:) I love the way that the markers and aqua painter can be used to colour the rosettes! It is the perfect touch! Sorry about the Antique photo... I've tried every which way to photograph the banner on my craft room door, but as it doesn't get any daylight in the hallway, the photos turned out hideous! I'll try again tomorrow and see if I can add it for you as the colours on this banner are stunning:) This was just one of the AMAZING make-n-takes that we did on Friday night at the Stampin' Up Vancouver Regional event. Their other make-n-takes were equally gorgeous, and I'll share more with you this week. I loved the "CREATE" title on this as it made it something that I would use to inspire me on a daily basis. and.... if you sign up to be part of my West Coast Creators team before March 13th... you will also receive a super cute new stamp set from the upcoming Summer Mini called, "Sunny Fun". It is way too cute... flip flops, popsicles etc. I photographed some great samples done with this set and I'll share those with you this week! I can't wait to share with you this week! 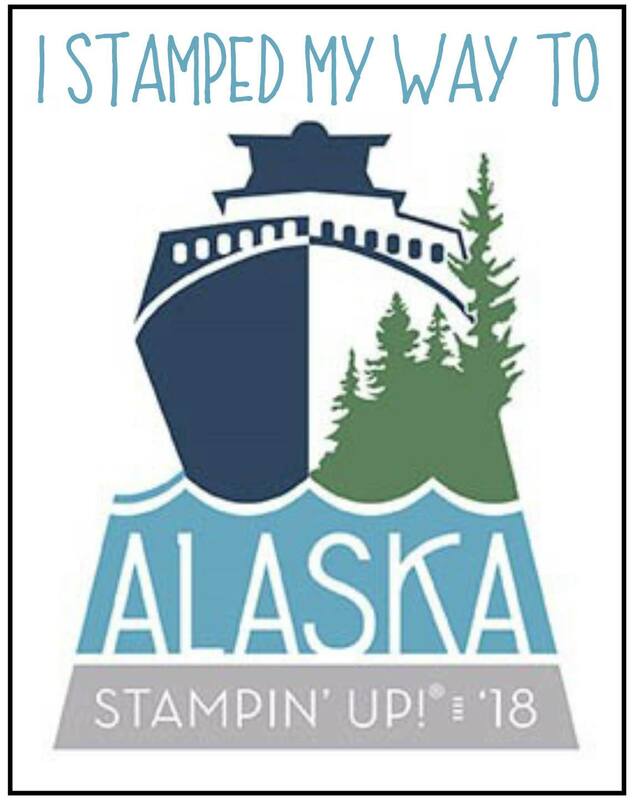 Stampin' Up Regionals was AMAZING!!!!! (and I've got some special news to share with you:) Make sure to check back this week for details! This is another page from the scrapbook that I'm completing for my teaching partner. Again... the original was done using a picture of her little guy, but it is SO convenient to be able to switch out the photos and print off a page for each of us so that two scrapbooks are being completed:) teehee.. I'm rotten aren't I? 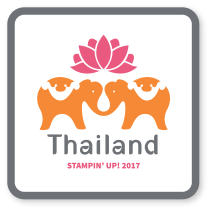 Well, tonight is an amazing Stampin' Up Regional event in Vancouver! How lucky were we that it came to us this time? I wanted to have a little something for all my West Coast Creators girls that are attending so when I saw these little treat boxes on Heather Summers' blog, I knew exactly what I was going to make. They were done using the Petal Cone Die... clever aren't they??? 4) leave a comment on their blog so they can pass along the recognition. 1. Peanut M&M's are my WEAKNESS. 3. 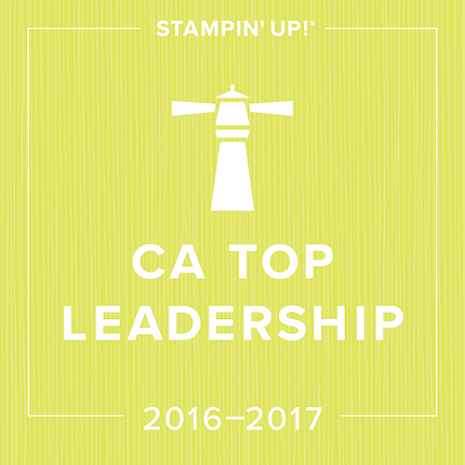 I have made the MOST AMAZING friends through stamping. 6. I always feel awkward when walking into a room full of people. 7. 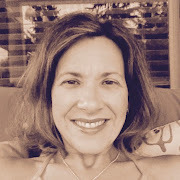 I knew that I was going to marry my hubby the first time that I met him. 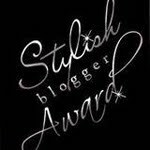 Here are some really fun blogs to check out!!! I'm stuck... all the rest in my bookmarks are old favourites:) too many to share! 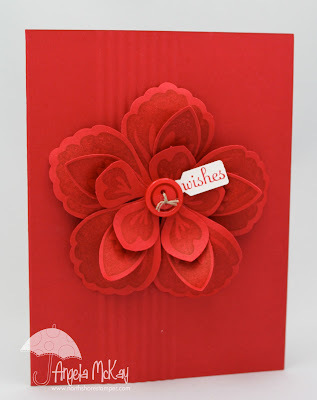 As I've mentioned before, I love using up the scraps on my desk to make a card. I was playing with my window sheets awhile ago and had some letters in my pile. 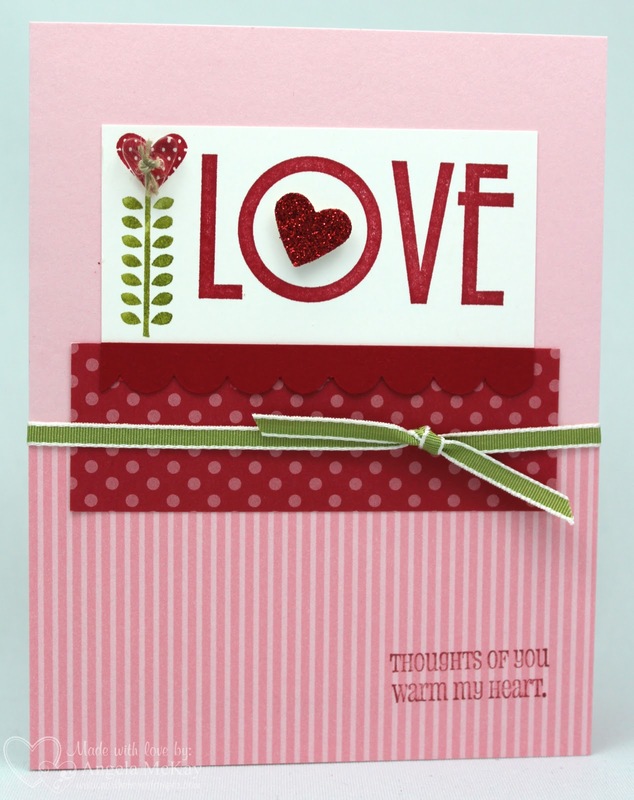 This card already had the base completed, so I just added the letters and the brad and called it done. The only part that I wasn't happy with was the fact that you could see the mini glue dots behind the letters. I added a little strip of the striped Baja Breeze DSP on the inside so that you can just see it when the card is closed as the cover is a little narrower than the front. 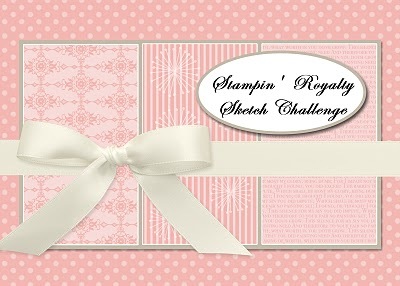 This week's Stampin' Royalty challenge is a sketch challenge... I love this layout! My plan was to do a card, but with report cards on my plate right now, I'm spending a ton of time at my computer and playing with my MDS was a likely replacement. I love how this layout worked for a scrap page too! I can't wait to see what you come up with! Come and play! This stunning card is a CASE of the one presented to us on stage at Regionals. I was able to show my girls a fabulous technique for not wasting their paper in the process of using this stamp set and punch combo! The little crimp mid card is the perfect touch!!! 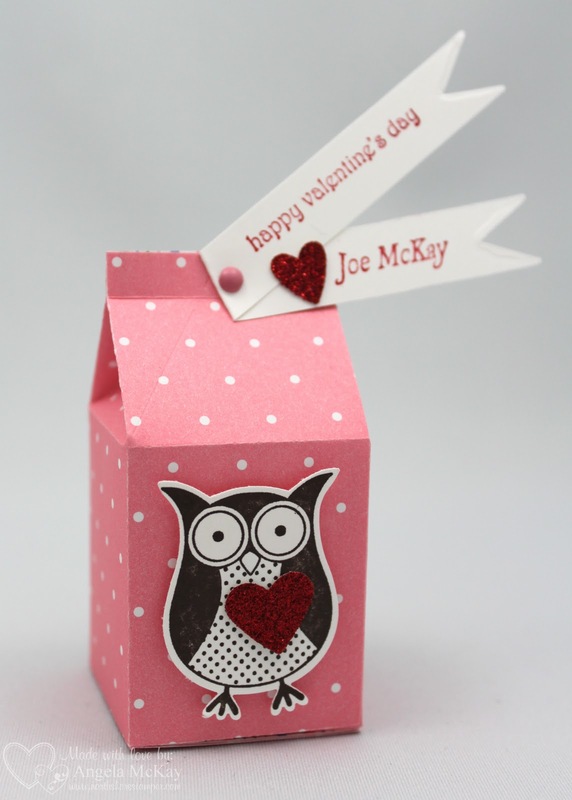 I also wanted to show off the new spinners this month at club, so we had fun make this cute triangle fold card. If you look closely, behind the stamped image, you'll notice a scallop square that is not the size of the standard scallop square die. I showed the girls a new technique this month for making the scallop square die adjustable as both a different sized square and a rectangle. I love having multiple uses for one die! You'll definitely recognize this card if you've poured over the current mini as much as I have. I wanted my ladies to get to play with the Beveled Window Panes at club this month. In order to do that I had to have two slightly different cards to utilize the three sizes of panes that come in the package. Personally I like the card with the larger pane, but that is because it allowed me to get that little bit of So Saffron on the card and I remembered to sponge the Tulip border which really makes it "pop" out! 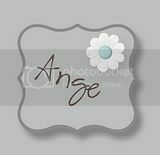 I just wanted to let you know that a fabulous new set of My Digital Studio downloads are available!!!!! Click on the link below to check them out! Make sure to take advantage of the free Sale-a-bration set with a $60 purchase... MDS downloads are included in this promo!!! Don't forget, with every $30 purchased in MDS downloads in the month of Feb. you'll get a $10 GC good for merchandise in March. (this offer does not apply to club orders). Just another share of a card sent out by my up-up-up line:) We are acknowledged for many different things in out group including sales, promotions etc. I always look forward to these cards... how can something this beautiful not brighten your day? It is even more beautiful in person as there are Dazzling Diamonds on the petals of the flowers... so STUNNING! 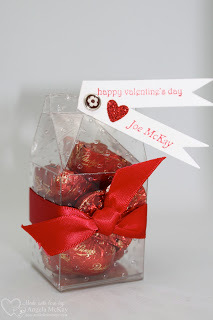 These are a fun little thank you gift that I like to include for my hostesses. 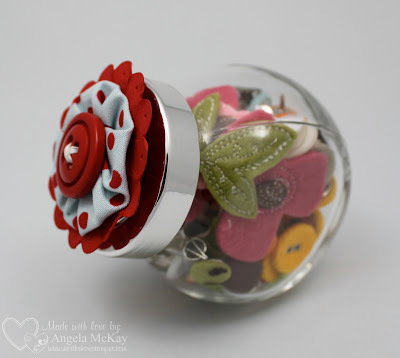 I include a ton of embellishments that I know my customers will really enjoy trying out. Sometimes, until we've had the chance to try out some of these amazing things, we never know how much we love them! My personal favourites are the Jumbo Eyelets, Antique Brads and the new crowns and keys from the mini! What are yours? This was also a fun way to show off some of our fabric that Stampin' Up has begun to carry... these little flowers are so easy to make and the Jumbo Designer Buttons are the perfect thing to finish them off! 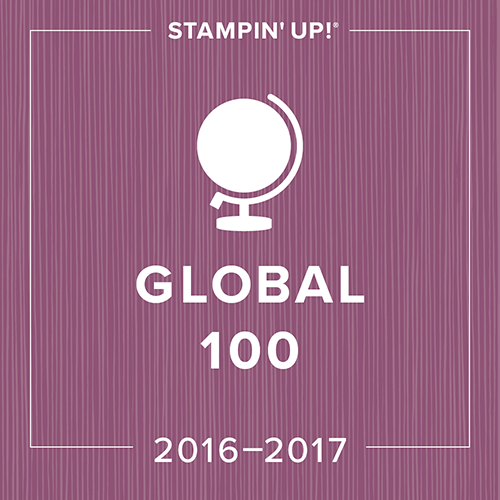 Stampin' Royalty Challenge #59.... Markers! Well, it's time to get out your markers! 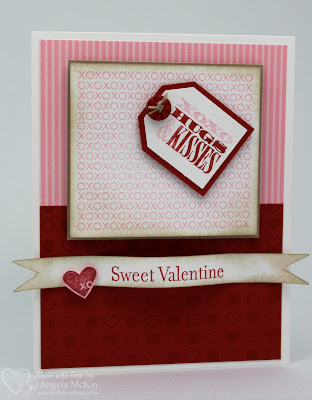 The challenge over at Stampin' Royalty this week is to get out your markers! I was hunting through my stamps for a set that needed love and with an image that could be coloured with markers. When I came across this Studio Sketches set, it instantly reminded me of my grandma's house... not quite sure why... anyway, the Teahouse background stamp jumped to mind too:) What do they make you think of? This adorable card is a CASE of a card given to me by my up-up-up line. I needed some quick and cute thank you cards for the wonderful girls in my West Coast Creators group that did "WOW" presentations at our recent mini regional event, so this was perfect! I love how the Sizzix Embossing Folders can instantly make a card a WOW! What is your favourite Sizzix textured impressions folder? 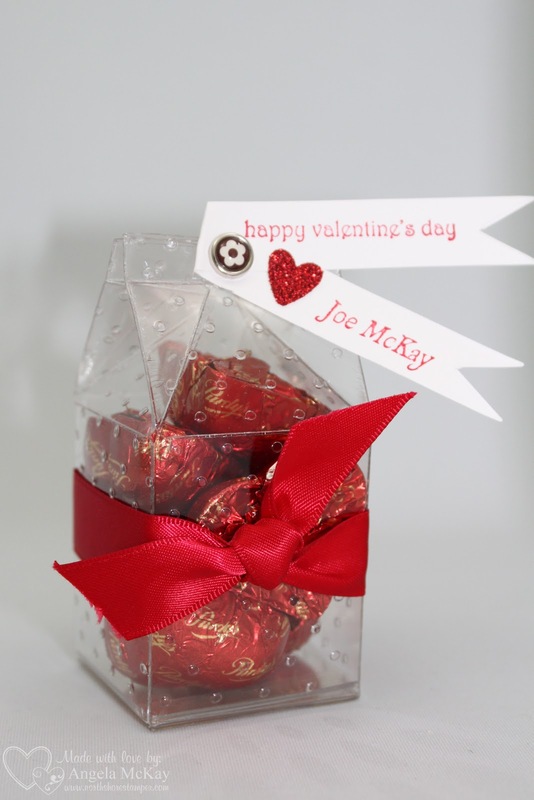 My personal favourite is the Square Lattice followed closely by the perfect polka dots! Sorry for the lack of posts this weekend... my photo storage on Blogger was FULL!!! I guess that is what happens after three years of this:) Now that I've got that sorted out... 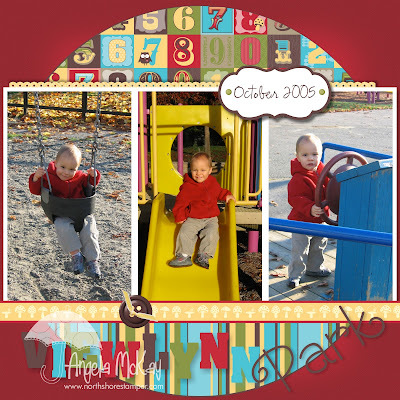 I'll share with you some projects that I was working on at home with my boys this weekend. 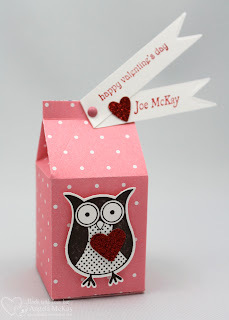 The boys each wanted boxes for Valentine's treats for their classes so we made up 40 of these little milk cartons with the owls on them along with 40 decorated sugar cookies:) Now with mommy being a teacher, both of my boys are very aware of making sure that they don't forget their teachers... or their supervision aids... or the office staff...or the prinicipal.... need I go on???? teehee You'll see here some special boxes that we made for those individuals:) I hope that you all have a WONDERFUL Valentine's Day with the ones that you love! 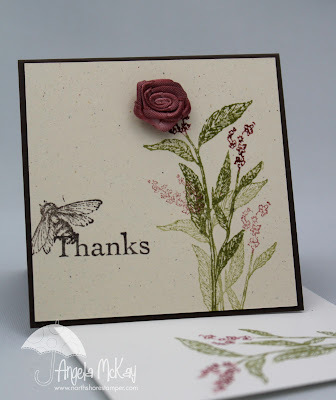 I've been having so much fun playing with the new Build-a-Blossom stamp set Blossoms Petal Punch. This card was made just using up the practice pieces on my desk. I've definitely got some better ones done now as this was one of the first... but I do love the look of the monochromatic card. Purchasing this amazing stamp set, punch and maybe a roll of ribbon is enough to earn you a fabulous Sale-a-bration free gift right now! My hubby recently started going through our old computer to get some picture files off. I'm going to get going on these right away as I am really starting to feel like I'm getting somewhere with my scrapbooking! I downloaded the new Sketches 2 Scrapbook App. I love it! It makes it so easy to get started... especially in a digital version. I can slide all of my punches and photo boxes in place from the sketch and then just work from there! I've had a request to list the fonts that I've used on my projects, but for the most part, I just use the fonts that came with my macbook. The only other fonts that I make use of are a few free ck fonts. 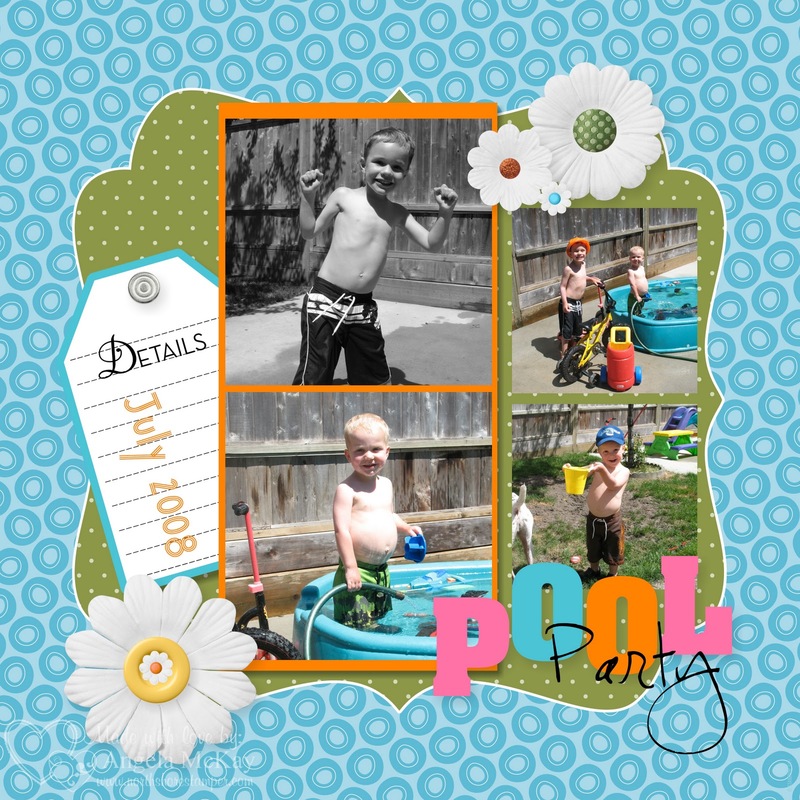 The word "POOL" is done using the "Letters" stamp download for MDS. All embellishments on my pages are MDS downloads... I don't have any from other companies. 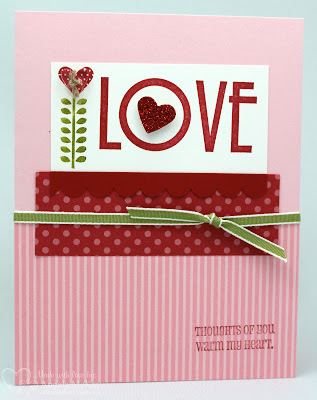 Well, here is the Valentine's card that we actually did at Shelley's workshop. If you're not sure what I'm talking about, go back and read yesterday's post:) I loved the way that this card turned out...what do you think? Click on the photo and check out the detail on the bottom Real Red half of the card...those new Letterpress Plates add the perfect amount of detail. 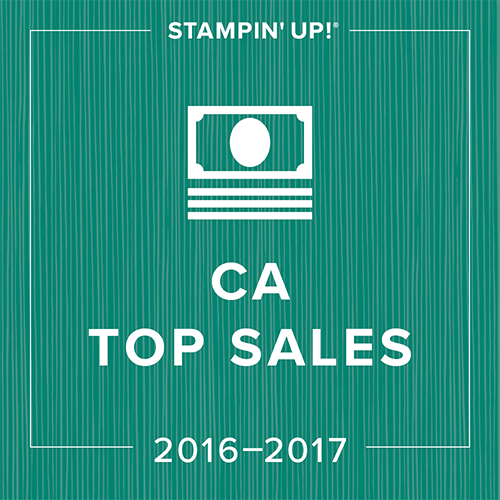 I was able to check two items off my list as I also needed to design a card for this week's Stampin' Royalty Challenge... Hearts, Hearts Hearts! I can't wait to see what you come up with! ﻿﻿Click Here to see the downloads released on February 1st! Click Here to see the downloads released today! As always... purchase a minimum of $30 in digital downloads and receive a $10 Gift Certificate to be used in the following month (March in this case) towards a catalogue merchandise order. Club orders are excluded from this promo. Don't forget, if you order $60 in downloads you'll get a $20 GC and a free Sale-a-bration item right now! I hope I don't offend any teachers out there when I say this...but teachers are often amazing at giving instructions... but less than fabulous at following them! (I'm a teacher myself:) I always tell my students to make sure that they read the instructions before starting anything... well if I'd followed my own advice I would have saved myself some time the other night. I was prepping for an upcoming workshop and I was having a difficult time coming up with a Valentine's card. 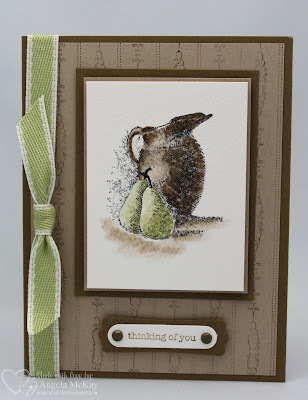 I decided that it would be easiest if I just CASE'd a card that Stampin' Up had designed as part of a promotion they had offered in December and January. I was sure that I had read somewhere that they had extended the promo until February 14th. What I had missed was that they had extended the availability of the Designer Series Paper that was available as part of the promo... not the stamp set! It would have been a little silly to demo a card that no one was able to purchase the stamp set from in a workshop, so it was back to the drawing board! anyway, now that I've READ the instructions, I can confidently tell you that the DSP shown below is available until Feb 14th! Don't miss out! 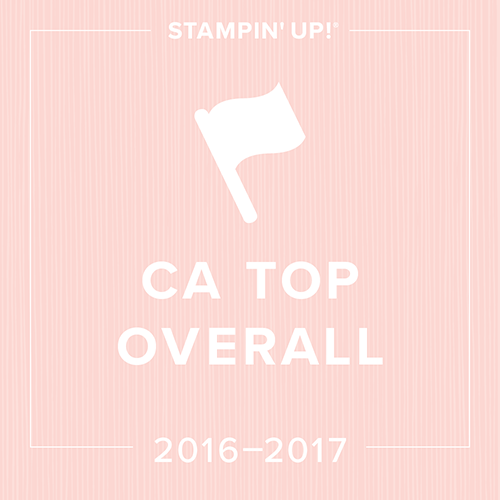 Check back tomorrow and I'll share the card that we actually did with you!